salon invi offers an exclusive line of hair and beauty related products designed to enhance the best features of your hair. Indulge yourself with hair care products from Kerastase, Kevin Murphy, Oribe, & Brazilian Blowout. At salon invi each hair product line is hand selected by the stylists to ensure top quality hair care is maintained after you leave the salon. Stop in and take home the best line of professional hair products to extend the beauty of your style. Kerastase – Kerastase is a luxury hair care line that offers a wide variety of innovative and unique products designed to enhance the natural beauty of the hair. Kerastase has developed a collection of personalized hair care products as well as tailor-made in salon treatments that target individual needs and desires. Since its creation, Kerastase has produced some of the most advanced technology in the industry and continues to produce some of the worlds best, most exclusive hair care. Kerastase offers consumers a brand that is classic and modern, audacious yet not provocative, aspirational without being inaccessible. To see more “Kerastase” products, click here. Oribe – Oribe delivers the highest possible levels of performance and sophistication, with truly original formulations: gels that condition, oils that hold, sprays that don’t flake or clump, skincare-grade shampoos that prep hair for styling while protecting it from the environment. 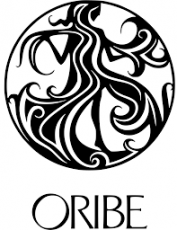 To see more “Oribe” products, click here. Goldwell – Goldwell is a professional, salon only, hair color range that delivers superior and reliable results. Goldwell hair color guarantees maximum brilliance whilst providing the best possible protection of the hair. The result is maximum color brilliance with hair that is left in optimum condition. Goldwell is among the top leaders in the hair industry, and color services are exclusive to only the best salons in the world. Available in more than 100 intermixable shades from blondes, brunettes, redheads and more, a Goldwell Professional Colorist can help find your perfect hair color whether you’re after a new fashion look or grey coverage. To see more “Goldwell” products, click here. Kevin Murphy – Kevin Murphy products recognized the need for weightless products that provided performance, strength and longevity to support today’s ever changing looks. Born from the same philosophy as skin care and inspired by nature’s best, the Kevin Murphy range of shampoos, conditioners, treatments and styling aids, is an indulgence of runway looks and natural aromatherapy catered for every hair type. The products are made from renewable and sustainable resources whenever possible, using pure essential oils, plant extracts and natural antioxidants. All Kevin Murphy hair products are sulphate and paraben free. To see more “Kevin Murphy” products, click here. Brazilian Blowout – Brazilian Blowout Professional Smoothing Treatments are the most innovative and effective in the world. Through the use of innovative and breakthrough bonding technologies, these treatments actually improve the health and condition of the hair by creating a protective protein layer around the hair shaft to eliminate frizz and smooth the cuticle. They are the ONLY Professional Smoothing Treatment that actually improves the health of the hair. To see more “Brazilian Blowout” products, click here. SoCap USA Extensions – SO.CAP.USA Hair Extension products are among the finest in the world. Their private factory in Naples, Italy produces original hair extensions and bonding equipment, which are second to none. They use only the best hand selected, 100% human hair that is pre-bonded with 100% Keratin Protein Tips to ensure a healthy and strong bond that lasts from 3 to 6 months. To see more “So-Cap USA Extensions” products, click here. Great Lengths Hair Extensions – Great Lengths offers over 40 vibrant natural shades to precisely match the color of your own hair. Strands are available in lengths from 8 inches to 24 inches. 100% of the hair sourced for Great Lengths is from the Temples of India. This is the finest source of virgin hair available in the marketplace that is most compatible with Caucasian and European hair textures. The quality of Great Lengths hair is unmatched. Great Lengths certified stylists have attended the most intensive and effective training which has been recognized as the industry’s best in category. No other company requires or offers the in-depth education that Great Lengths does. The education and training prepares stylists for optimum service delivery to clients. To see more “Great Lengths Hair Extensions”, click here.